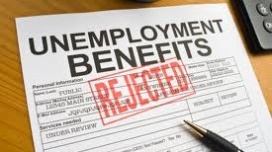 Many people are being unfairly denied their unemployment benefits. The lawyers at Mashel Law know how to effectively represent you in your fight for unemployment benefits. Unemployment benefits are typically denied or reduced based on claims the employee was terminated for simple misconduct, severe misconduct, gross misconduct, or left the job voluntarily. The New Jersey Unemployment Compensation Act (NJUCA) defines “‘Simple misconduct’ as an act of wanton or willful disregard of the employer's interest, a deliberate violation of the employer's rules, a disregard of standards of behavior that the employer has the right to expect of his or her employee, or negligence in such degree or recurrence as to manifest culpability, wrongful intent, or evil design, or show an intentional and substantial disregard of the employer's interest or of the employee's duties and obligations to the employer.” N.J.A.C. 12:17-2.1. “Severe misconduct” is defined as “an act which (1) constitutes ‘simple misconduct; (2) is both deliberate and malicious; and (3) is not ‘gross misconduct.’” Ibid. “Malicious” is defined as “when an act is done with the intent to cause injury or harm to another or others or when an act is substantially certain to cause injury or harm to another or others.” Ibid. “Gross misconduct” is defined as “act punishable as a crime of the first, second, third, or fourth degree under the New Jersey Code of Criminal Justice, N.J.S.A. 2C:1-1 et seq.” Ibid. Fortunately, to sustain a disqualification for any degree of misconduct, “the burden of proof is on the employer to show through written documentation that the employee's actions constitute misconduct.” N.J.A.C. 12:17-10.1(f). Under the NJUCA, an individual can qualify for unemployment benefits if he or she voluntarily leaves work for “good cause attributable to such work”. N.J.S.A. 43:21-5(a). “An individual who leaves a job due to a physical and/or mental condition or state of health which does not have a work-connected origin but is aggravated by working conditions will not be disqualified for benefits for voluntarily leaving work without good cause ‘attributable to such work,’ provided there was no other suitable work available which the individual could have performed within the limits of the disability. However, disqualification may occur when a non-work connected physical and/or mental condition makes it necessary for an individual to leave work due to an inability to perform the job. N.J.A.C. 12:17-9.3(b). The Appeal Tribunal is the first appellate level within the Department of Labor and Workforce Development for deciding unemployment insurance benefit disputes. After filing a claim for Unemployment Insurance an individual’s entitlement for such benefits is decided. The NJUCA permits the claimant and employer to file an appeal to the Appeal Tribunal from the determination made regarding the claimant’s right to benefits. The appeal must be filed in person or by writing to a local unemployment office or the temporary disability service office within ten (10) days from the date the determination was mailed or seven (7) days from its delivery. The unemployment appeal hearing takes place over the phone and in many ways resembles a mini trial, complete with sworn direct and cross examination, as well as closing arguments. If you hire Mashel Law to handle your claim, you would come to our law office and participate in the hearing by phone as you sit in our conference room while being represented by one of our attorneys. The outcome of this appeal will determine whether you will receive the unemployment benefits you seek. Following a ruling of the Appeal Tribunal any party dissatisfied with the ruling has the right to file another appeal, this time to the Division’s Board of Review. And if either the employee or employer is unhappy with a decision rendered by the Board of Review, a further appeal can be made to the New Jersey Superior Court Appellate Division. The attorneys at Mashel Law know how to effectively represent claimants at all stages of the appeal process. At Mashel Law, we understand how important unemployment benefits are to keeping you and your family afloat while you look for new employment. Just as importantly, we understand the law and know how to obtain the benefits you are entitled to. Whether it is the initial interview, an appeal to the Appeal Tribunal, the Board of Review, or even an appeal to the Appellate Division of the Superior Court of New Jersey, our skilled attorneys are ready and prepared to help you. Call us at (732) 536-6161 or fill out the contact form on this page.